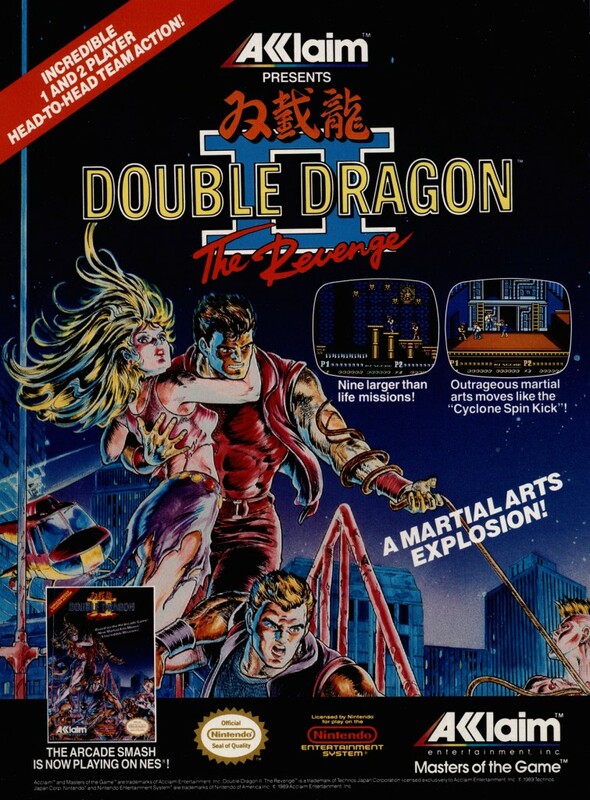 Double Dragon II was developed by Technos Japan Corp and published internationally by Acclaim Entertainment in 1990. The NES version of the game is inspired by the arcade version, but was developed in-house by Technos and contains several levels and enemies not found in the game which inspired it. Many feel that it is the best version of the game. An enhanced version of the NES game was released on the PC Engine CD – it features better visuals, a remixed CD soundtrack and animated sequences between levels. This advertisement originates from the US, but was used worldwide.